It seems that everywhere you turn these days, there is an article about double cleansing your face. Feeling both completely intrigued and completely left out (FOMO), I had to try it! I was already cleansing my face each night with the CereVe Hydrating Cleanser and it was just fine, but if there was something more, I wanted it. 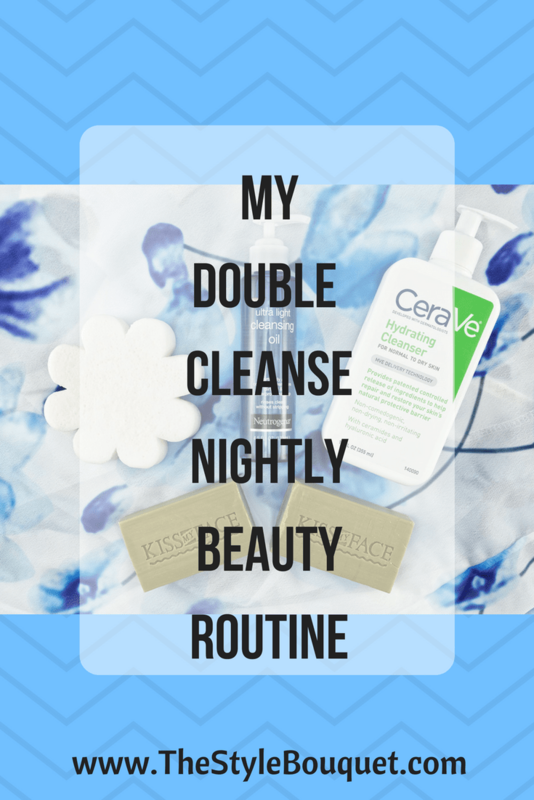 What is double cleansing? It comes from the Asian cultures of Japan, Korea, and China. In these cultures, women use paint and paint-like substances on their faces as a sign of beauty. 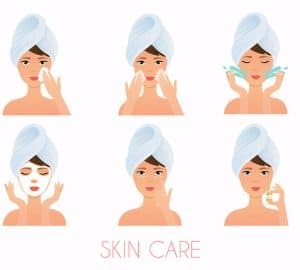 Cleansing oils are used as a means of removing these white substances followed by foaming cleansers to refresh the skin and remove the oil residue. My experience with double cleansing has been amazing. My skin has never felt more refreshed or looked more radiant. 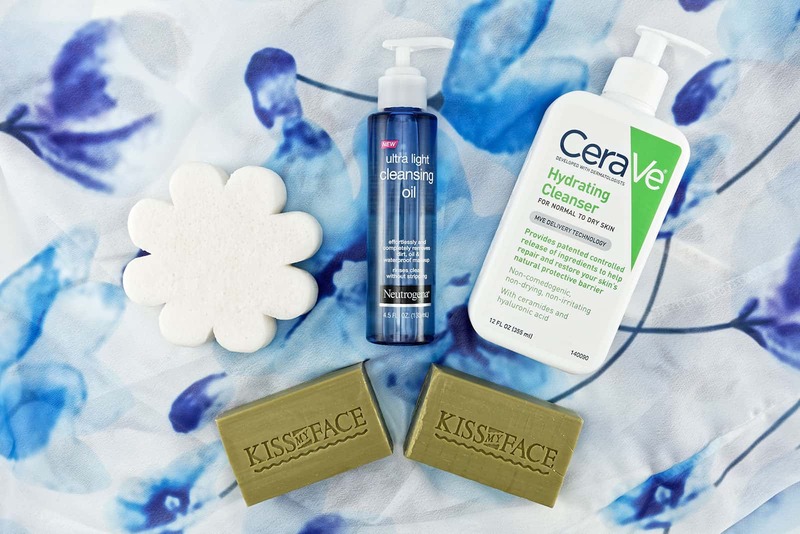 I look forward to my nightly beauty routine because it feels so good to double cleanse my face! 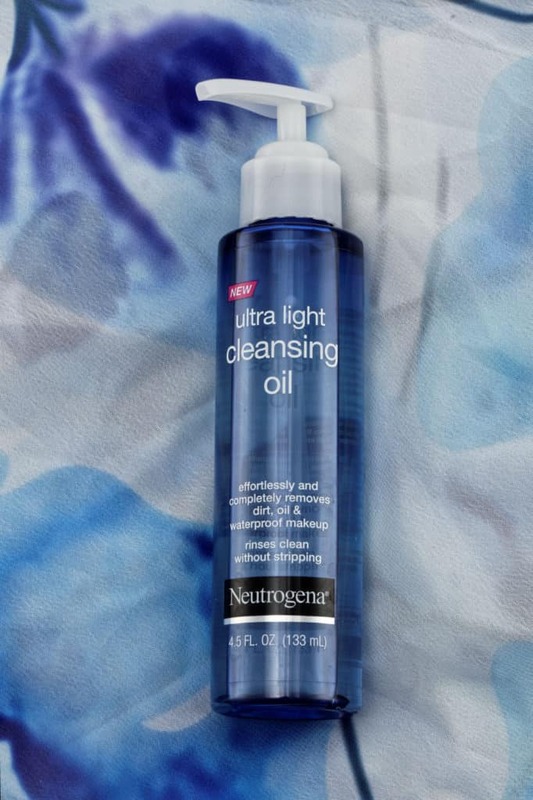 I chose the Neutrogena Ultra Light Cleansing Oil because I use their products often and I really like and trust them. To start the double cleansing process, I use two pumps of oil in my dry hands, heat it up by rubbing it through my hands, and then apply the oil directly onto my dry face. The heat from my hands feels great! I wash my face with the oil for about 1-2 minutes and then apply a handful of water onto my face to emulsify the oil. Once the oil has lathered, it’s time to rinse my face with water. The second part of the double cleanse removes the oil residue and completely refreshes the skin. You can use a foaming or non-foaming cleanser. 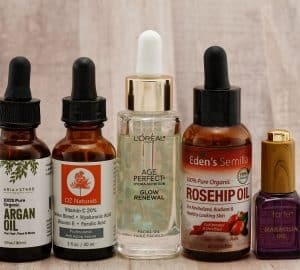 I’ve read that you should stick with non-foaming cleansers, but then again, I’ve read that either are fine. It’s what is best for you! 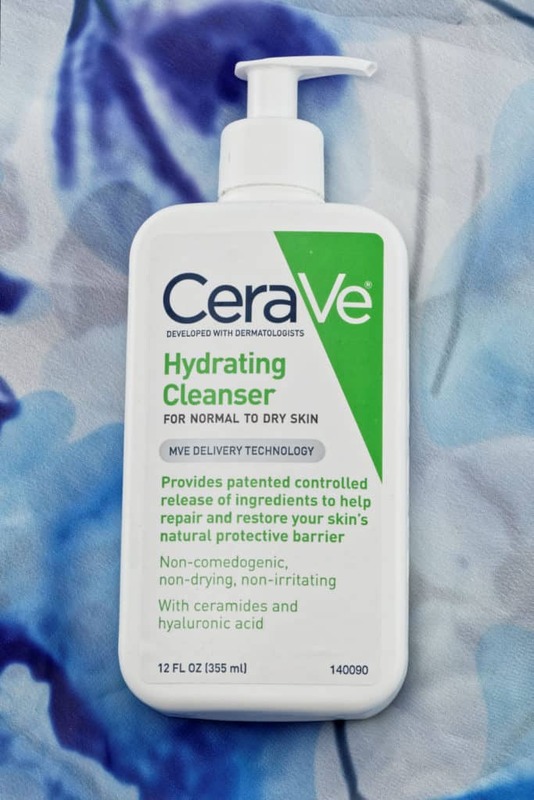 I use the CeraVe Hydrating Cleanser because it’s what I was using before I started the double cleanse and it’s great for my skin. I called it “semi-foaming” in that it is like a milky cleanser, but there is some foaming to the cleanser. I have been washing my face using the double cleanse process for a couple of months and my skin has never looked better! Even with the heat and humidity of Florida, I don’t seem to be prone to breakouts anymore. My skin looks more vibrant and smooth. I can’t say enough great things about the double cleanse. I think the key is using products that I like and that I’m familiar with. There are a plethora of products out there designed for the double cleanse. The key is finding what is right for you. Once you do, you’ll be on your way to healthier, more radiant skin! Having grown up in Florida, I know all about that humidity. Glad to hear that double cleansing is working for you. I might have to try it out some day. I use both of these products on a daily basis! They are so great! On days when I apply heavy make up I do this and it truly feels AMAZING!